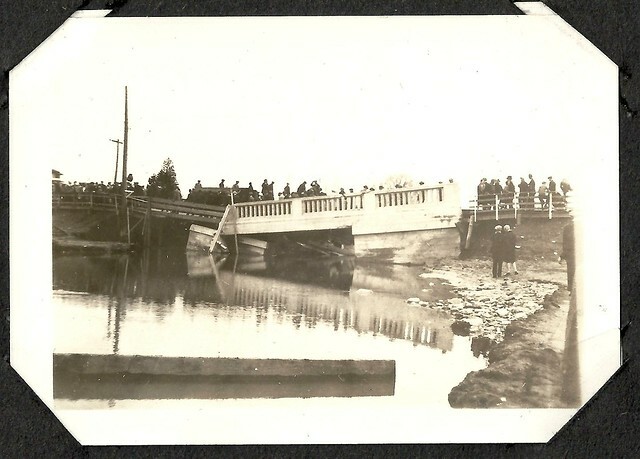 A recent transfer to the Archives from the Oshawa Community Museum and Archives includes a series of photographs of a collapsed bridge, without any information as to the location of it. I’m sharing it here to see if anyone can help us pinpoint it. The other photographs in the album mainly show scenes from Royal Flying Corps training camps in Ontario (Camps Borden and Mohawk) and Texas (Camp Taliaferro, Fort Worth) and were taken during the First World War in 1917 and 1918. The bridge could be somewhere near one of these camps, or perhaps somewhere else entirely! Looks like the bridge over Sucker Creek on the Boundary Road north of Deseronto. Good guess Don, but I have to disagree. 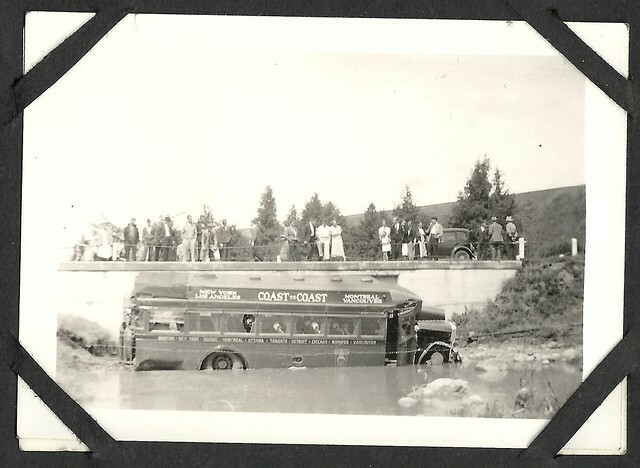 There have never been any houses or a road on the south side of the Sucker Creek bridge. 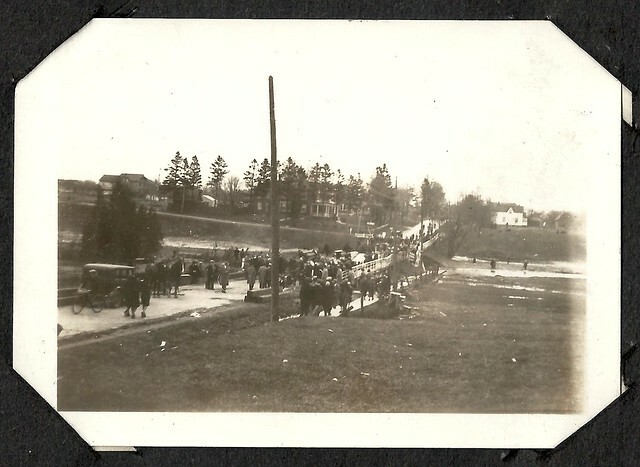 ( Note the houses and road to the left in pictures above.) It has always been farm land or pasture. My guess would be further north. Possibly Lonsdale area.